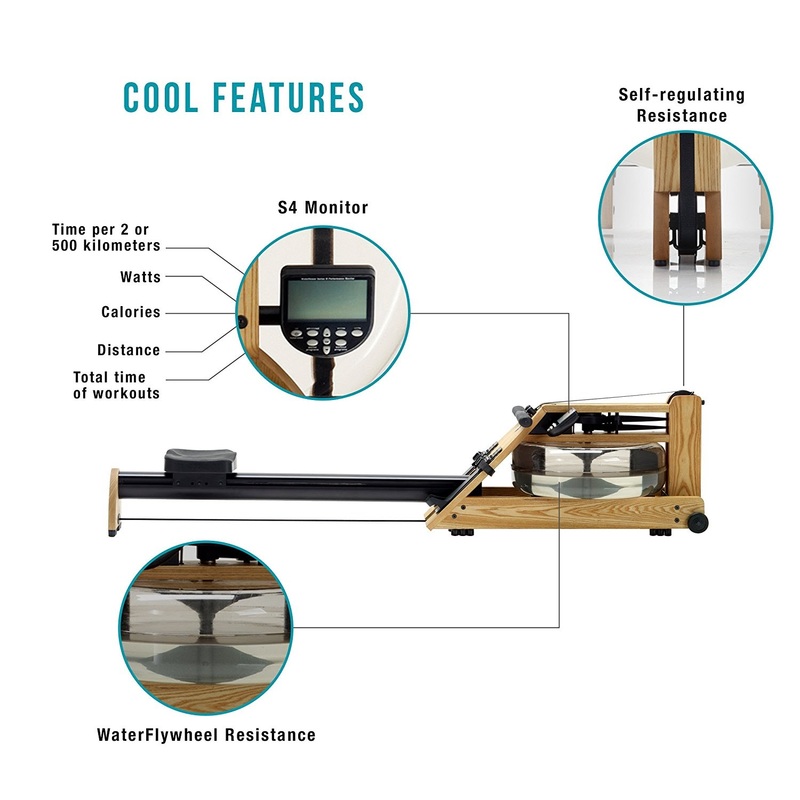 Row your way to fitness with the unique Water Rower A1 S4 Rowing Machine, designed to simulate the feel of real rowing on water. 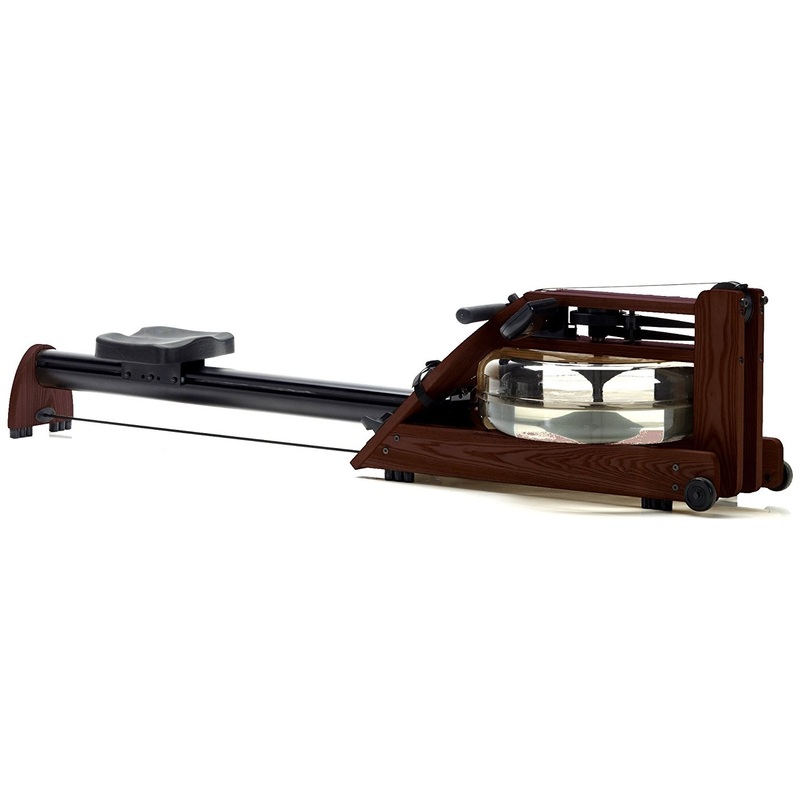 Row to the relaxing quiet whooshing sound and fluid motion of the WaterRower A1’s water flywheel. The WaterRower’s flywheel sits in an enclosed water tank and effectively offers similar resistance to real water rowing. The amount of water you put in the tank will affect the resistance and you can self-regulate the resistance by rowing faster/harder to increase the drag for a more intensive workout. The WaterRower A1 is designed with an aluminum monorail with no impact and non-load bearing, making it suitable for all people of all fitness levels. Rowing machines in general utilize all the major muscle groups to tone and strengthen the entire body and also give a good cardio workout too. To keep you motivated, the WaterRower A1 comes with an S4 monitor that displays motivating workout stats including time per 2 or 500 kms, watts, distance, total time, and calories burned. 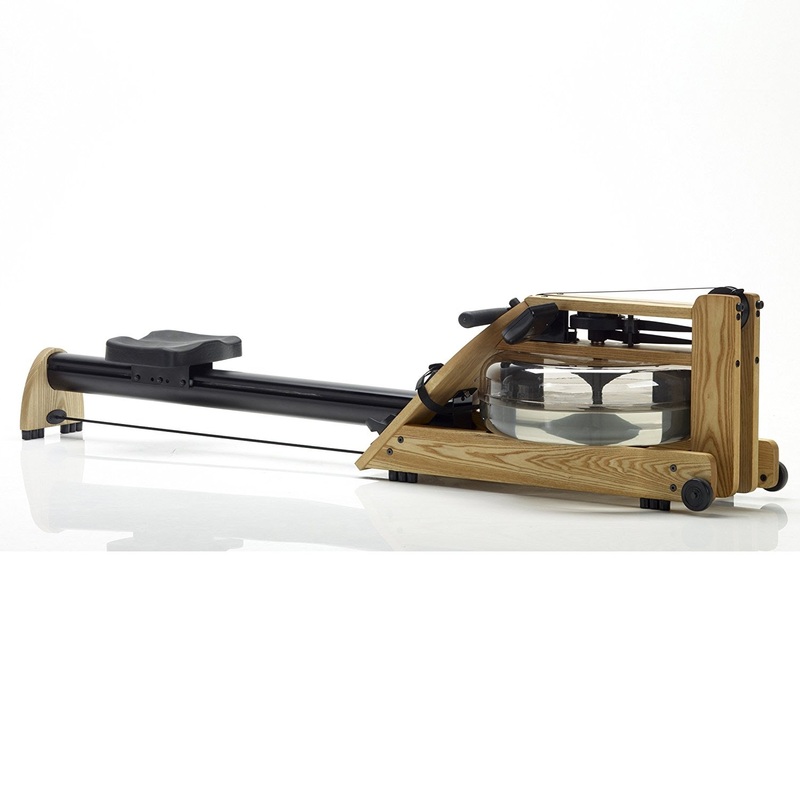 The WaterRower A1 Rowing Machine is designed for ease of use and requires very little maintenance with no need for lubrication. It utilizes a smooth nylon strapping (no chain to oil) and a pulley-free bungee cord. The only thing that is required is that you need to add a purification tablet to the water in the tank around every 3 to 6 months. 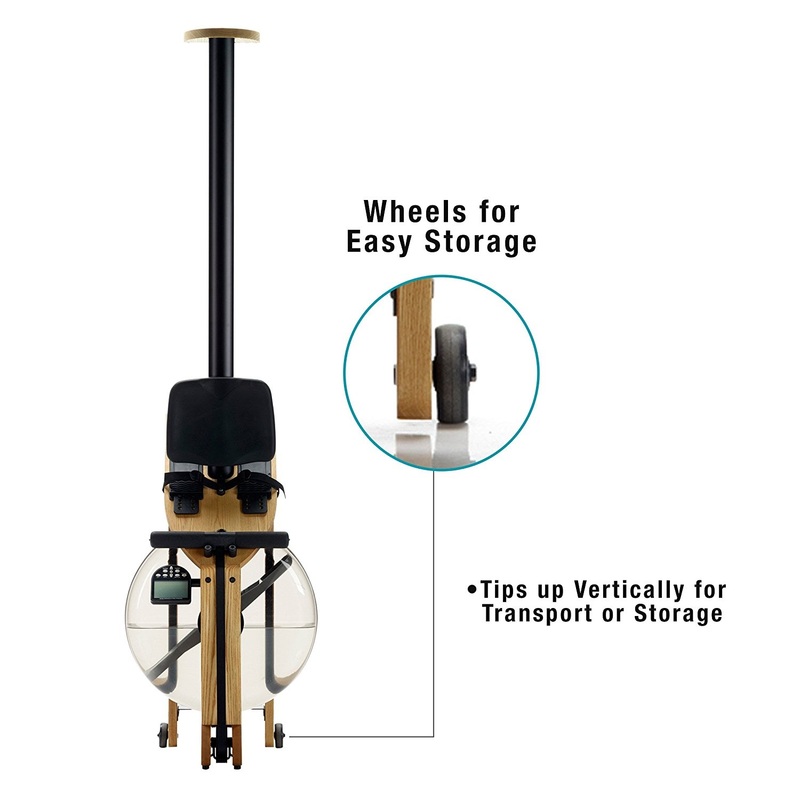 For convenience, the WaterRower A1 can be stored upright to save space without having to empty out the water tank. 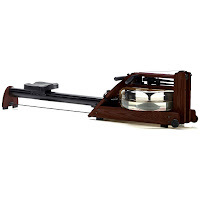 The WaterRower A1 is available in a choice of natural or rose color and is constructed from high-quality ash wood (sourced from replenished forests for sustainability) and finished with Danish Oil to give it its beautiful lustre color.